InterHerd+ is used by technical advisers ranging from veterinarians to nutritionists, management consultants and breeding advisers. 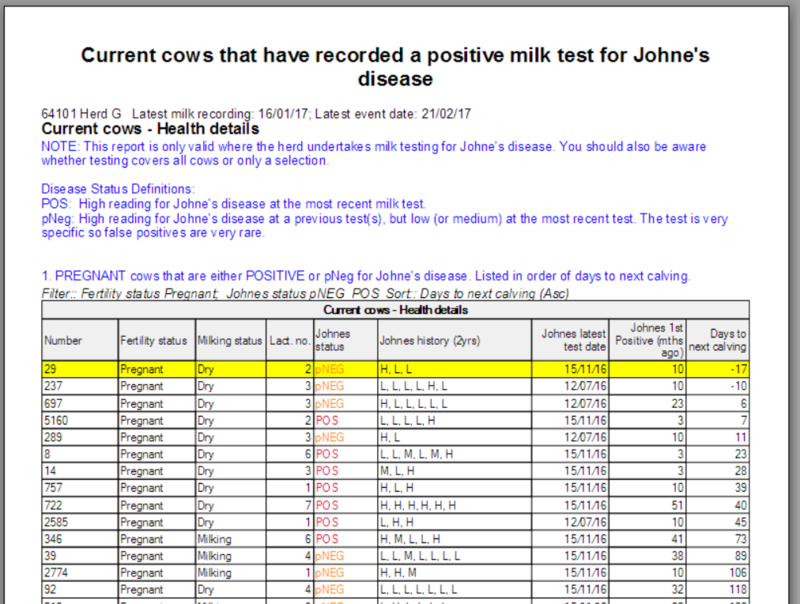 Every month, technical advisers download milk recording data from thousands of herds in to InterHerd+. 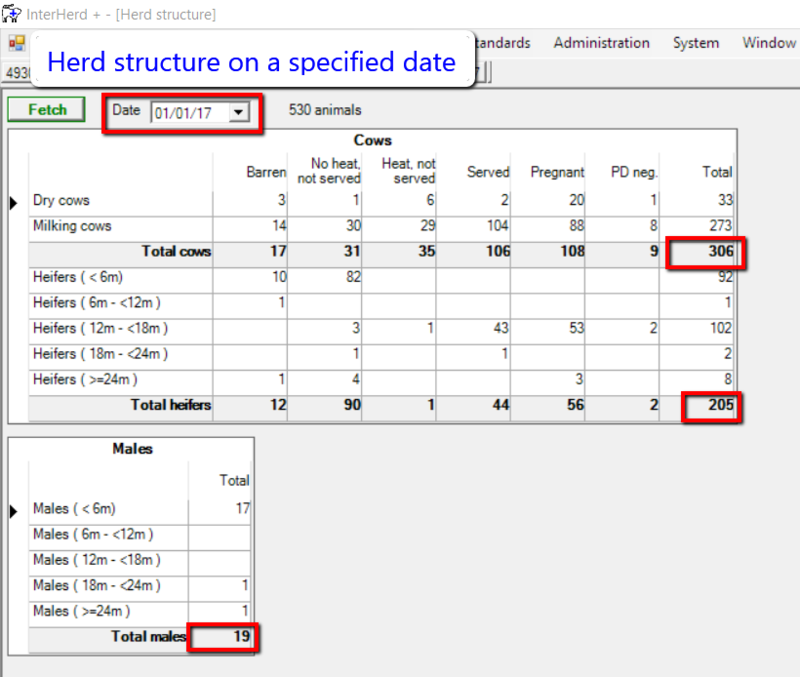 Commonly the adviser will maintain a single InterHerd+ database containing details of all their milk recording client herds. 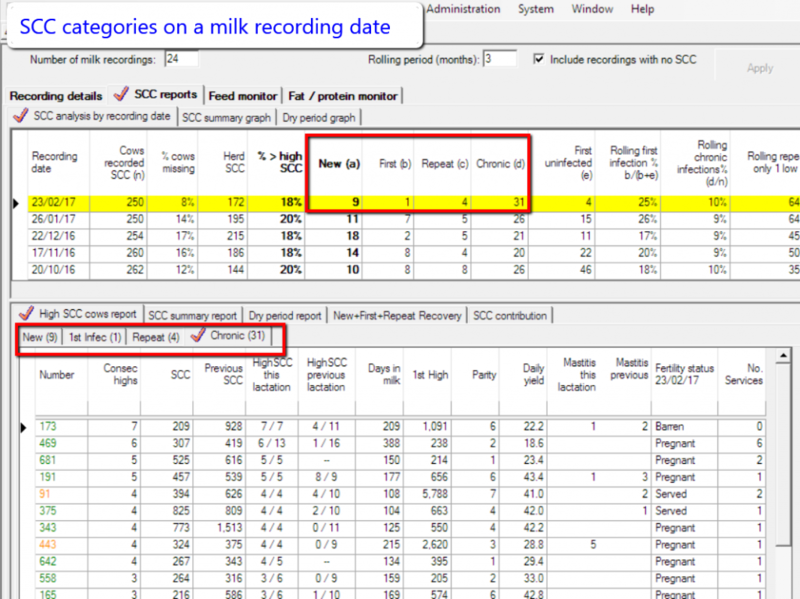 InterHerd+ automatically synchronises with main milk recording organisations in the UK (NMR/CIS) to ensure the data are always up to date and ready for use by the adviser. Farmer users of InterHerd+ can also pass their full data files to their adviser. 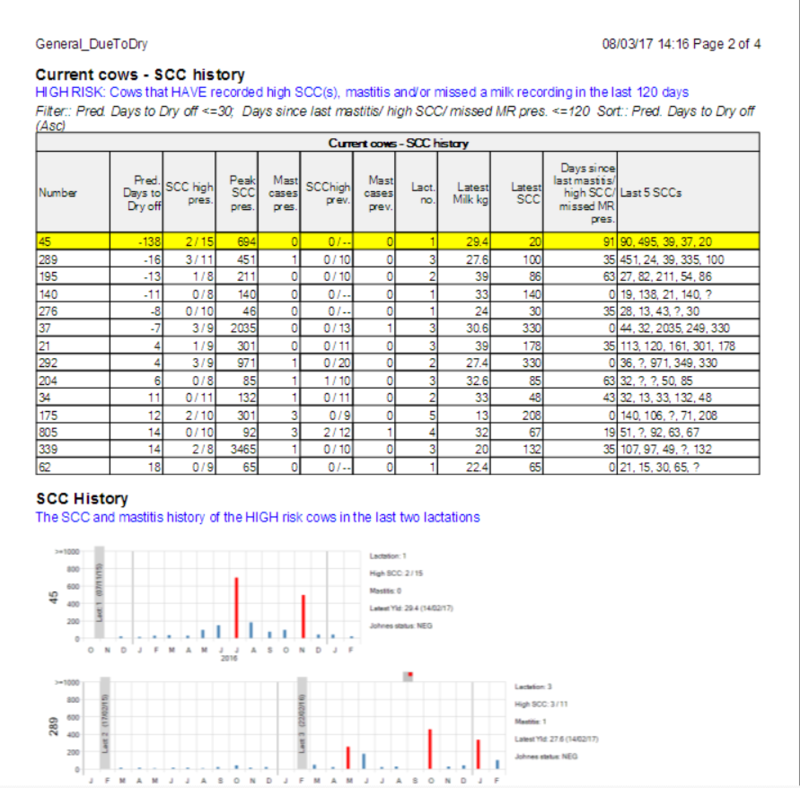 Against national standards: Compare over 50 key performance indicators of fertility, production and health against targets derived from annual studies of a cross-section of 500 commercial milk recording herds. 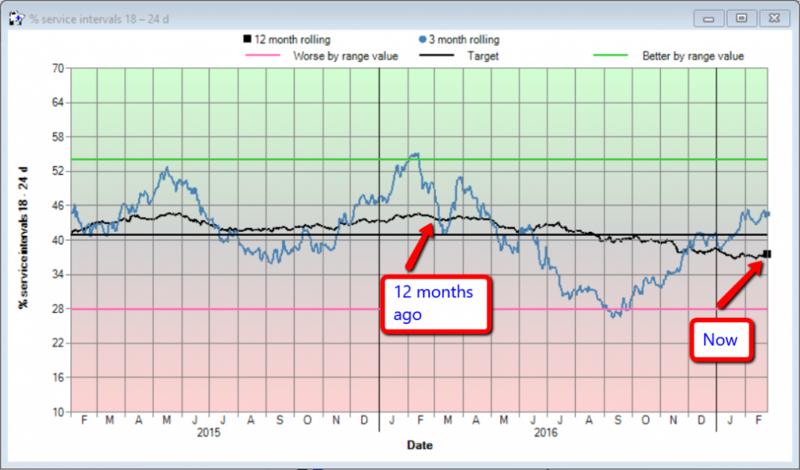 Herd overview and performance trends: Document templates generate standardised reviews of herd performance, suitable for initial or 6 monthly overview meetings. 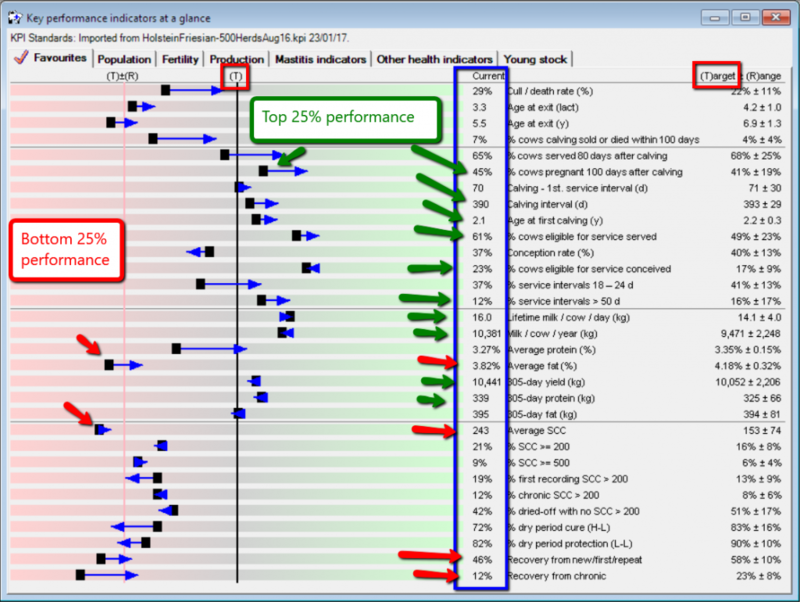 These highlight the overall herd performance and how the performance of key parameters are changing over time. 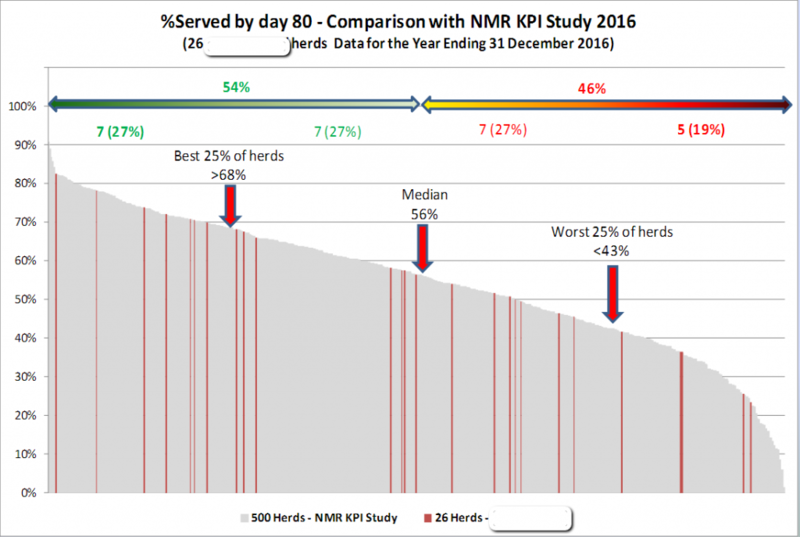 Client base benchmarking: How do your clients compare to national standards and identify which herds are improving and why. 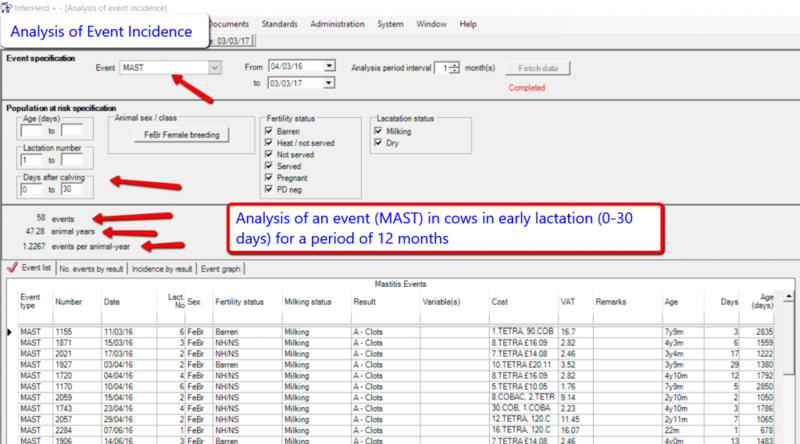 Milk production analysis: Through automatic analysis of past milk records from the herd, InterHerd+ calculates the predicted milk/fat/protein yields of every cow allowing for lactation number, month of calving and previous individual performance. Comparison of the actual with the predicted yield identifies groups and individual animals performing above/below expectation. 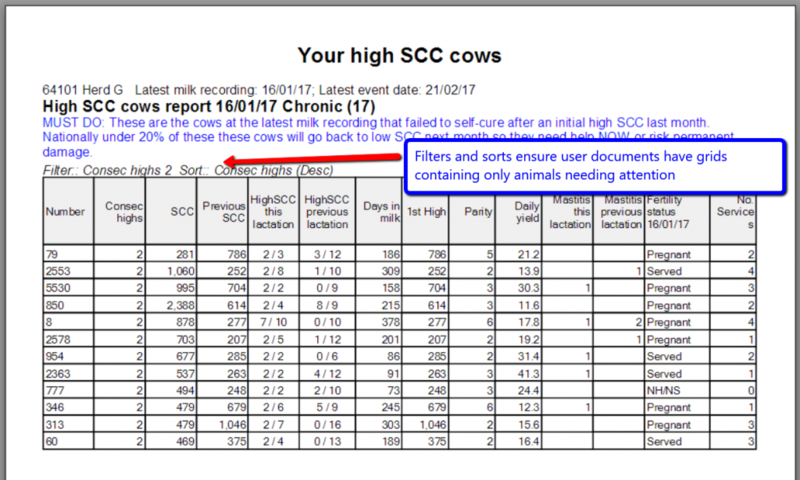 Somatic Cell Count analysis: InterHerd+ uses the Herd Companion SCC categories to prioritise high SCC cows for attention. 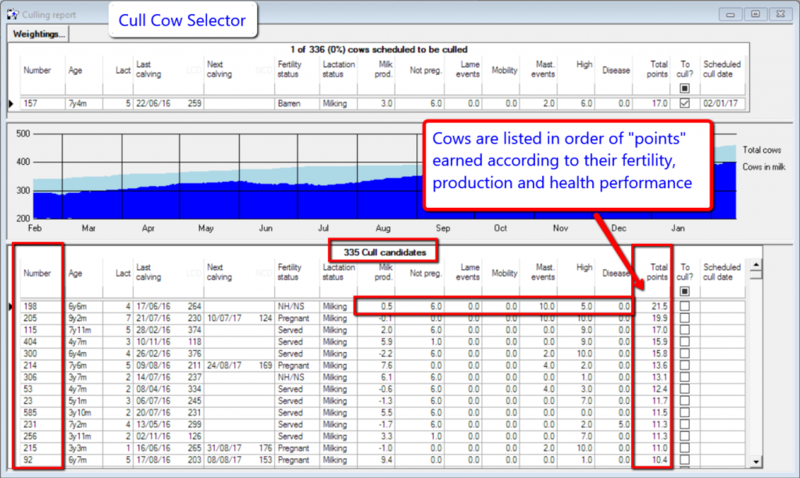 Milk profile: Through the analysis of milk records InterHerd+ can predict future milk yields of individual cows and herds. 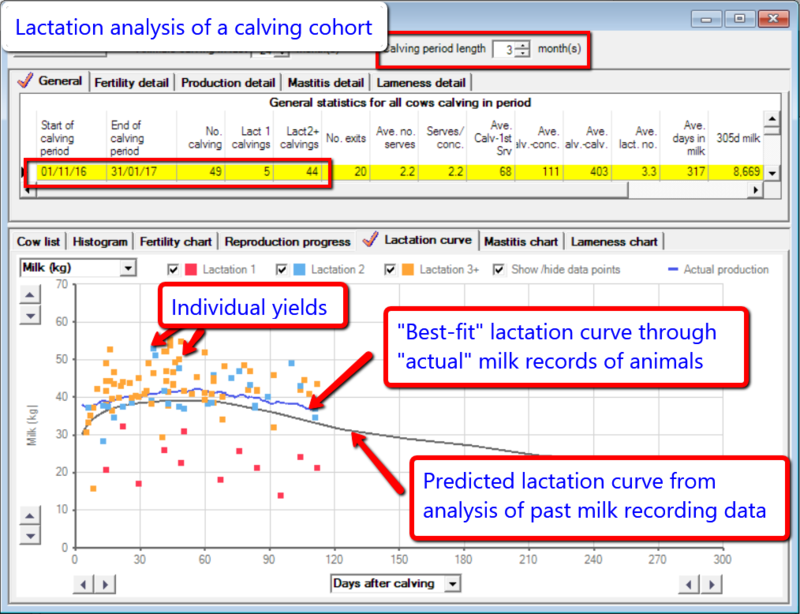 When combined with data on actual milk delivered robust predictions of future milk supply can be made. Document templates enable the user to develop very precise reports containing any grid or graphic in the program. These templates can be reused on any herd to provide consistent documents tailored to the needs of your client. Lifetime performance: All records of animals are maintained, including those that have left the herd. This allows detailed analysis of animal performance to identify those that are best suited to the production system on the farm as well as aiding the choice of animals for culling.